Take advantage of this unbelievable deal! Fix it All Bel-Air has a special promotion that runs from the 22nd until the 31st of August! 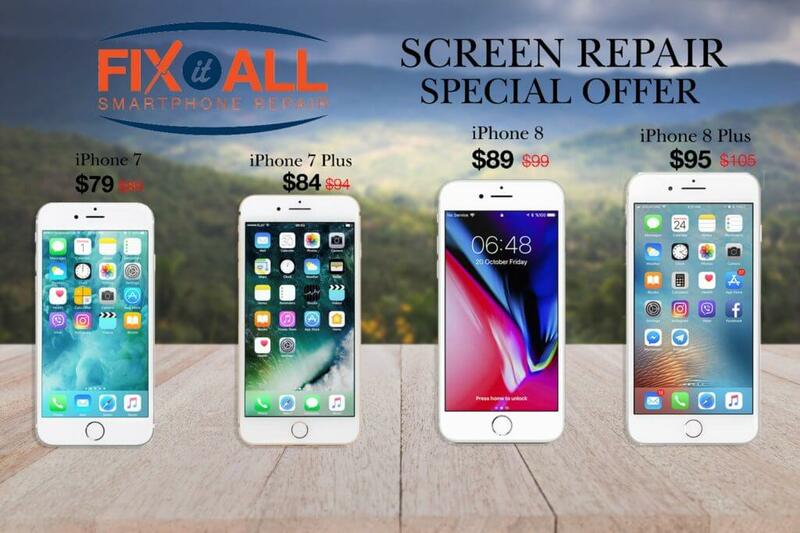 If you have an iPhone 7, 7 Plus, 8 or 8 Plus that has a damaged screen, come on down to our Bel-Air location and take advantage of our offer on screen replacements!